157 klientów oceniło ten produkt na 5 gwiazdki. 157 klientów napisało tekst w innym języku lub nie napisało tekstu. 8 klientów oceniło ten produkt na 3 gwiazdki. For the right guitar, the perfect strings! 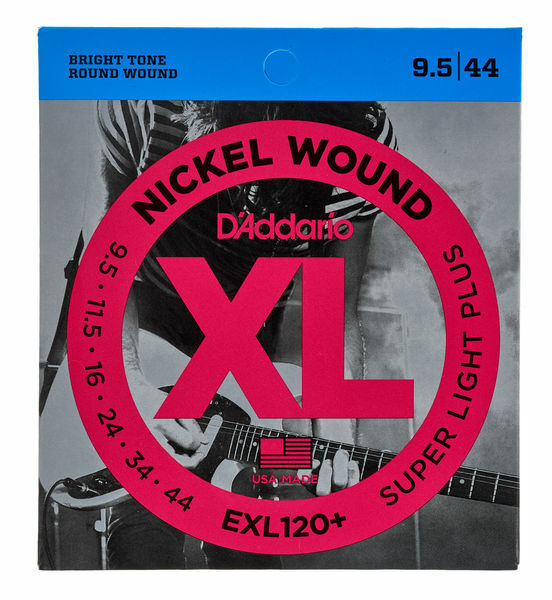 I've used D'Addario XL strings for over 20 years, and have never had a bad set. They're long lasting, sound good and are well made. I also like the environmentally thoughtful packaging. I first tried the EXL120+ strings 5 years ago. At the time I was playing Ibanez guitars with locking tremolo bridges, and I didn't get along with these strings at all. I thought they'd be the ideal compromise between 9's and 10's, but on those guitars I couldn't get them to intonate correctly, and the tuning stability was not perfect. I never had any issues with 9's or 10's. Fast-forward to this year. I bought a new guitar (a Suhr S4) with a Gotoh 510 tremolo and locking tuners. On this guitar, 10's felt too stiff, but 9's were too slinky. So I thought I'd try the EXL120+ again, and on this guitar they are perfect. 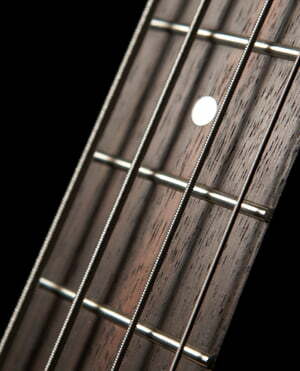 Intonation is easy, tuning stability is amazing, and they just suit the guitar. Unfortunately this gauge is not available here in Hong Kong, so I always order a few sets when I'm placing an order with Thomann. I hardly ever break strings, and these last me a long time, so they're excellent value. In conclusion, these are probably not the perfect string for everyone. But try a set - you may find they are perfect for you. I don't use them on every guitar (there are other D'Addario XL sets for those) but on my Suhr, this is the perfect set. ID: 102278 © 1996–2019 Thomann GmbH Thomann loves you, because you rock!